River Valley Organics is a division of River Valley Landscapes, a specialty landscape design build firm. 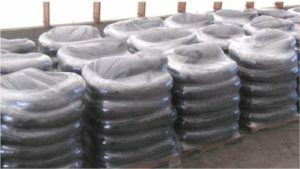 River Valley Organics is a bulk material and installation service supplier for a variety of product lines which include organic erosion control and Filtrexx services, landscape mulches, playground mulches, and WoodCarpet. With our expert staff and wide variety of specialty equipment, we make difficult jobs look easy. Our pneumatic application of bulk materials is just one thing that sets us apart from the rest of the crowd. If you have difficult-to-reach or large projects that need organic materials applied, we are the company to call! 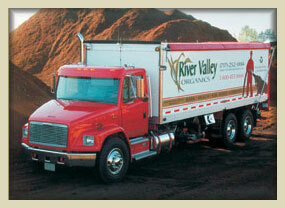 Located in South-Central Pennsylvania, River Valley Organics services the entire commonwealth and neighboring states. We pride ourselves on our commitment to offering quality products and services. SKIDS OF PRE-FILLED FILTER SOCK ARE AVAILABLE FOR PICK UP OR DELIVERY BETWEEN 7:00 AM – 3:30 PM. PLEASE CALL AHEAD.